A most remarkable outerwear concept, this ladies fashioned fleece jacket is as much fun to wear as it is to be seen wearing. 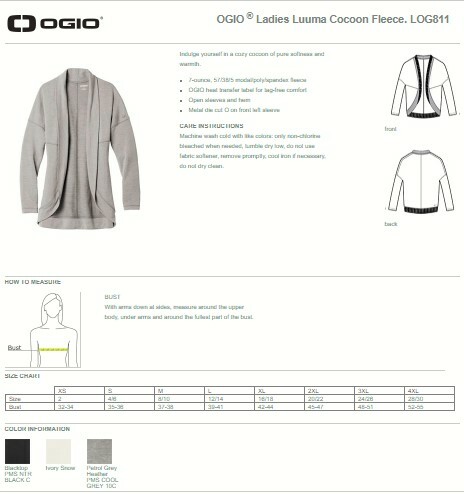 The innovative soft shell is a lightweight model/poly/spandex fleece that has to be touched to be believed. The hem and sleeves are open, and the back is longer than the front. The front drapes without use of buttons or zipper. Sizes range from extra-small to plus 4xl. Bulk Pricing.